I recently found this playful Gerda Steiner Designs stamp set. 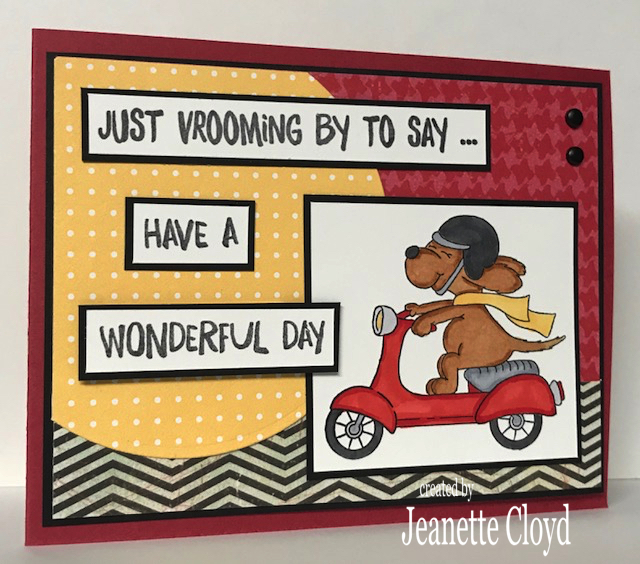 I don't know if I like the sentiments best or that adorable little dog on his mo-ped. I do know that this set makes me smile! SO cute and fun. I love this Gerda stamp set too. Great card and a wonderful design. 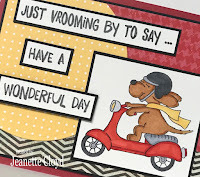 Oh you are rockin' the puppy cards on your blog and I'm squealing all over again with each one! 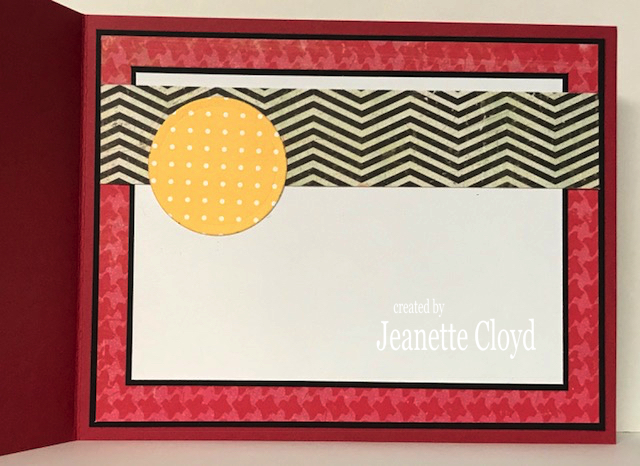 Love the fun color combo on this - very retro! SWEET coloring! 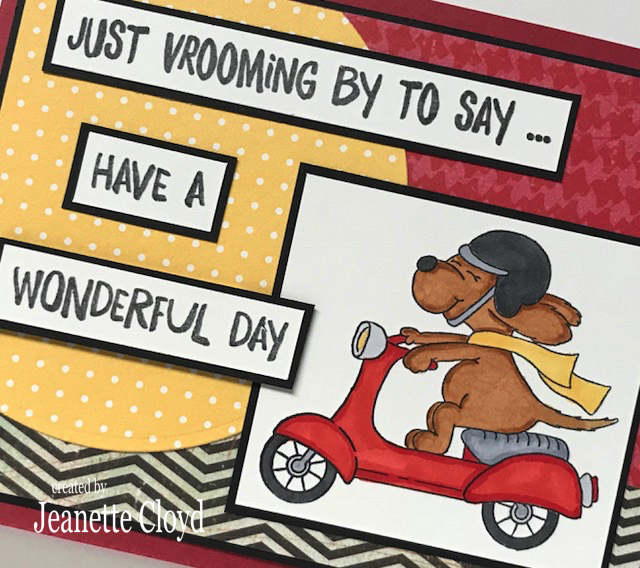 Oh what a fun card Jeanette - love your wee pooch on his moped, and the fabulous papers. What a great blend of patterns and colors on this fun card, Jeanette!! Awesome work!